The best preparation for good work tomorrow, is to do good work today. 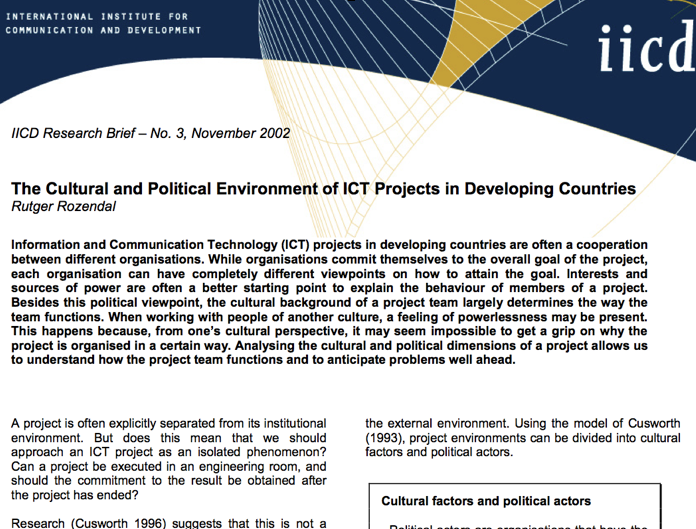 For the the International Institute for Communication and Development (IICD) we did a research on the Cultural and Political factors that influence the development of ICT Projects in Developing Countries. 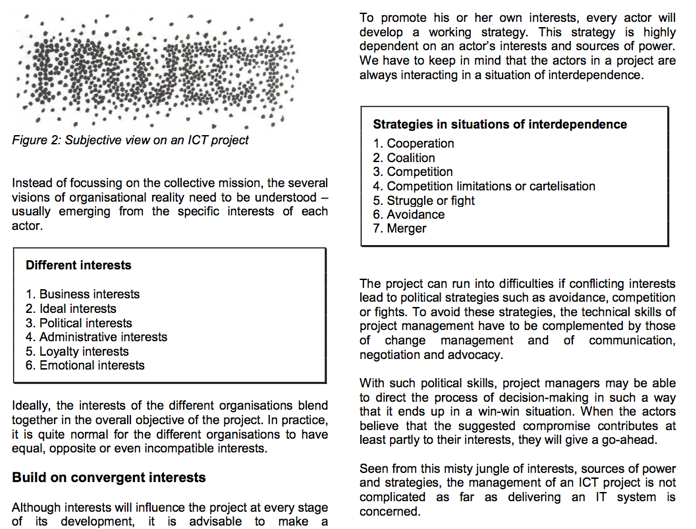 The research paper arguments that in order to understand the development of a project you should take the sources of power of the project members and their own interests as starting point of your analyses. 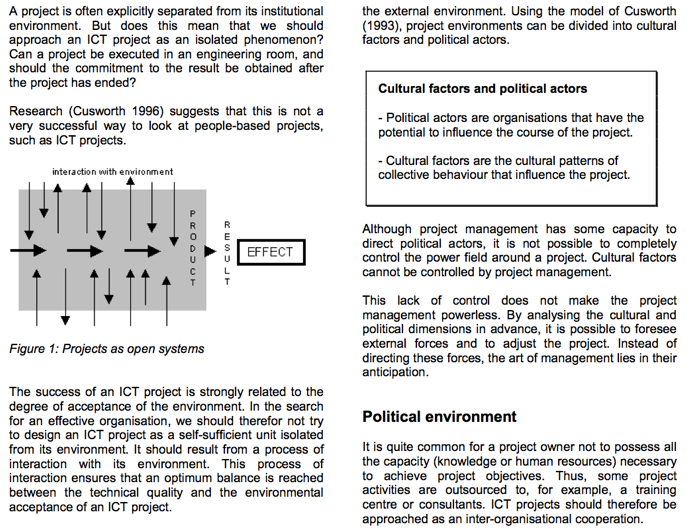 Besides this political viewpoint, the paper also arguments that the cultural background of a project team largely determines the way the team functions. If you would like to collaborate with us please request a quote for your project. © 2018 ATA48.COM All rights reserved.